One of the strangest and intriguing aspects of religions is the role ascribed to the devil. 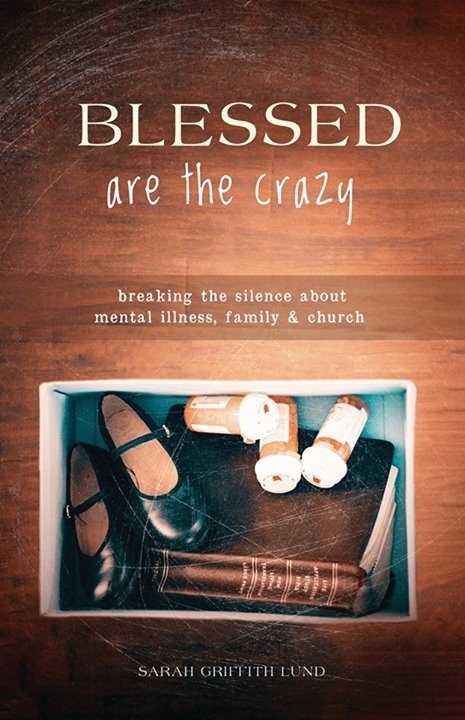 In my book Blessed are the Crazy I talk about how some Christians view mental illness as a curse from the devil. In this mindset, a person who struggles with depression must have danced with the devil. Only a person who lacks true faith would become depressed. If Jesus is not saving you from psychological despair, then you must have turned your heart away from him. I thought this was something only some Christians believed, until I came across a blog that spoke of some Muslims viewing mental illness the same way. Except it’s not Jesus they are so worried about, but the Prophet Muhammed, peace be upon him. Some Muslims, like some Christians, also think that the devil is in the details of mental health. We give the devil a lot of power. Not just from certain Christian communities that claim the devil is responsible for their mental anguish, but also the Muslim communities that credit the devil and a sinful life for disrupting moods and causing psychosis. For a fascinating look at Muslim associations between mental illness and the devil click here. I wonder how the devil feels about all this credit he’s getting for causing so much pain and suffering in the world? If a faithful, observant Muslim becomes clinically depressed, does he belong to the devil? If a church going Christian ends up in the psych ward, does she need saving from the devil? This type of thinking magnifies the stigma and shame of having a mental illness. In this view, the person is a double threat to the religious community: she has a mental disorder and a spiritual disorder. Like the demoniac in the Bible, she becomes a shameful outcast, the unclean “other,” who must be removed from the heart of the community so that she will not pollute it with her sins. How does the concept of the devil as the cause of mental illness interfere with recovery? Are there positive ways that belief in the devil can be integrated into recovery? For people who believe in the devil as as actual force in the world, how can we limit the negative impact of this view on mental health? There are many differences between Christians and Muslims in today’s world. But it seems to me that the devil isn’t one of them. The devil must be radically inclusive, welcoming all regardless of religious affiliation. He seems to have a special place in his heart (if he even has a heart) for people with mental illness. Or, do we develop concepts like the devil to explain things we don’t totally understand, like the causes mental illness? If it is the devil’s doing, then somebody give him some anti-psychotics. He is out of control. People forget that some of the “demon possessions” in the New Testament were of physical conditions like being mute or having probably epilepsy. We know now that these conditions are not caused by demons but by physical conditions. We also know that mental illness has a physical component. It is time for people to better understand demon possession in the New Testament. I believe that demon possession was what people in that time thought because they did not have another explanation. I’ll try not to over reply to your blog, but I have found that the ‘devil’ is anything or anyone that is more than two away from your current level of development. Yay again for sharing 🙂 if you don’t seek, you won’t find, and your book sounds promising and helpful to others seeking to understand, cool!